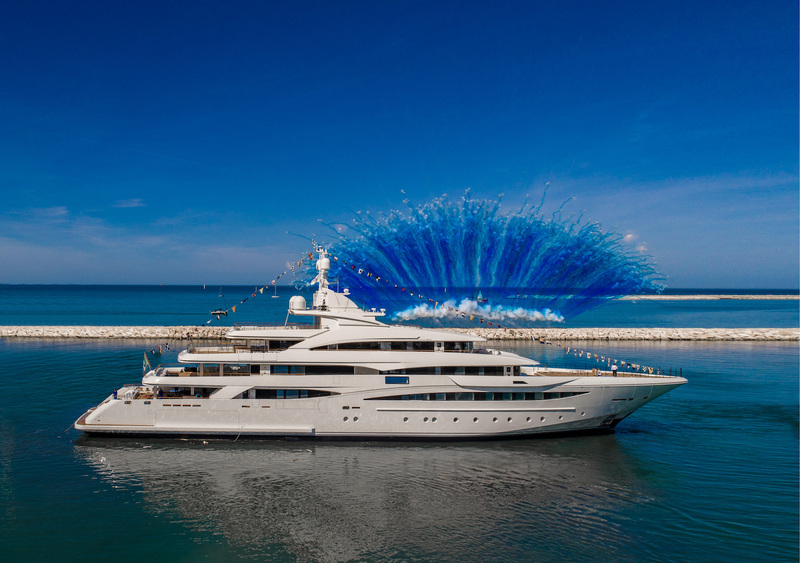 CRN has launched a new 79-metre yacht, describing it as a perfect fusion of creativity, experience and impeccable craftsmanship. 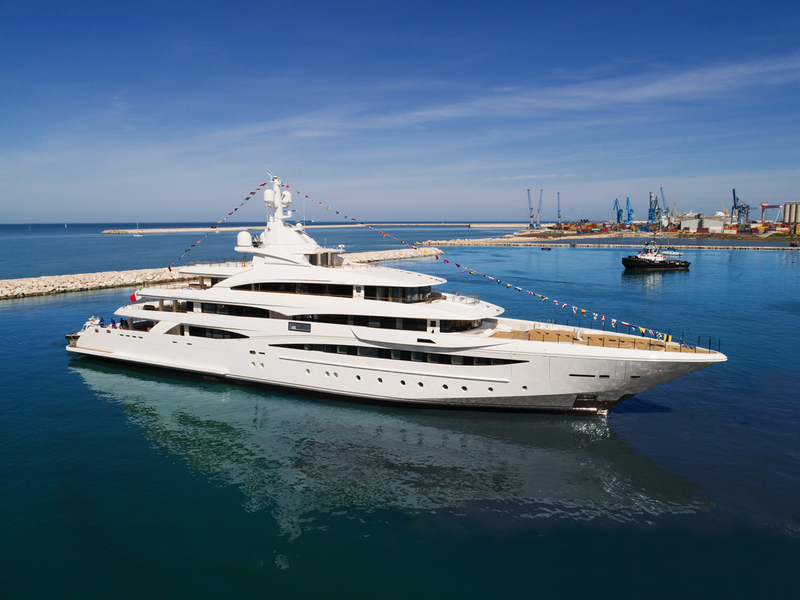 CRN’s latest superyacht, Project 135, glided onto the water in Ancona, Italy on 16 March 2019, in an exciting ceremony attended by over a thousand invited guests. The five-deck, fully custom steel and aluminium superyacht has sleek lines and a smooth profile, at 79 metres long and with a beam of 13.5 metres. She is the result of another successful collaboration between CRN and the architects Zuccon International Project, who took care of the external lines, and Laura Sessa, who designed the interiors. With five decks accommodating 12 guests in five VIP cabins, plus the owner’s suite and accommodation for 29 crew, the superyacht has been called “the fullest expression of CRN’s passion for excellence”. It is the product of an accomplished team of nearly 200 workers, including project managers, project architects, engineers, technical designers and specialist craftspeople. Project 135 was first announced in March 2014, and was originally planned as a 77-metre vessel before its two-metre extension. CRN, founded in 1963 in Ancona, is Ferretti Group’s specialist yard that designs and builds fully custom steel and aluminium yachts of up to 100 metres in length. Its fleet now numbers over 180 seagoing vessels.